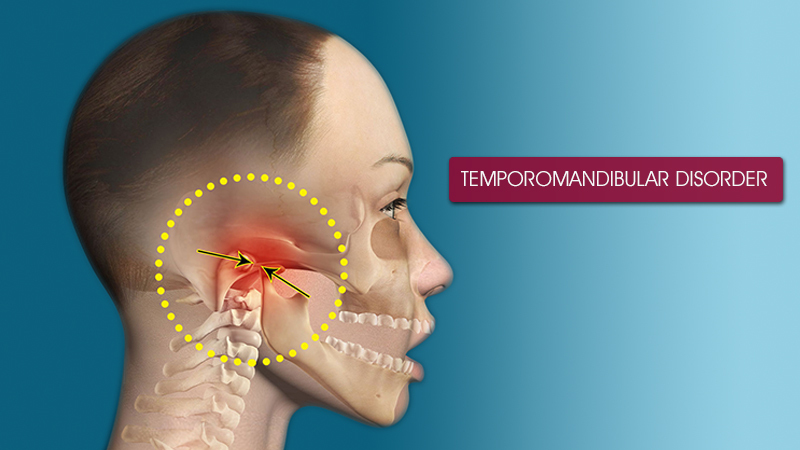 Temporomandibular joint disorder in noida (TMJD or TMD), or TMJ syndrome, is an umbrella term covering acute or chronic inflammation of the temporomandibular joint, which connects the mandible to the skull. The disorder and resultant dysfunction can result in significant pain and impairment. Because the disorder transcends the boundaries between several health-care disciplines - in particular, dentistry and neurology - there are a variety of treatment approaches. Unlike a typical finger or vertebral junctions, each TMJ actually has two joints, which allows it to rotate and to translate (slide). With use, it is common to see wear of both the bone and cartilage components of the joint. Clicking is common, as are popping and deviations in the movements of the joint. Pain is the most conventional signifier of TMD. The surfaces in contact with one another (bone and cartilage) do not have any receptors to transmit the feeling of pain. The pain therefore originates from one of the surrounding soft tissues, or from the trigeminal nerve itself, which runs through the joint area. When receptors from one of these areas are triggered, the pain can cause a reflex to limit the mandible's movement. Furthermore, inflammation of the joints or damage to the trigeminal nerve can cause constant pain, even without movement of the jaw. Due to the proximity of the ear to the temporomandibular joint, TMJ pain can often be confused with ear pain. The pain may be referred in around half of all patients and experienced as otalgia (earache). Conversely, TMD is an important possible cause of secondary otalgia. Treatment of TMD may then significantly reduce symptoms of otalgia and tinnitus, as well as atypical facial pain. Despite some of these findings, some researchers question whether TMD therapy can reduce symptoms in the ear, and there is currently an ongoing debate to settle the controversy.